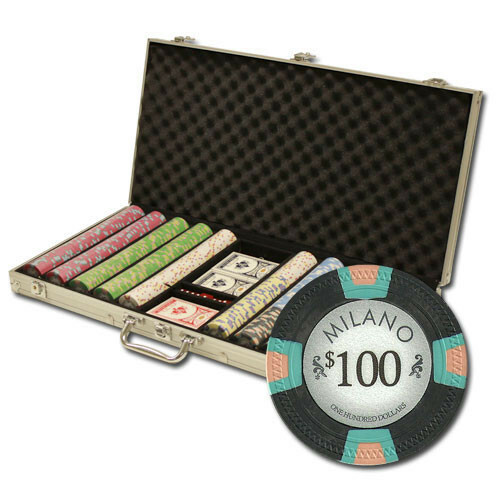 Set the table for high stakes with this casino grade poker chip set. 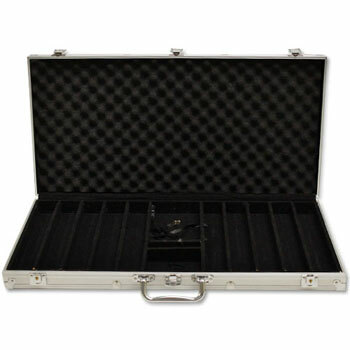 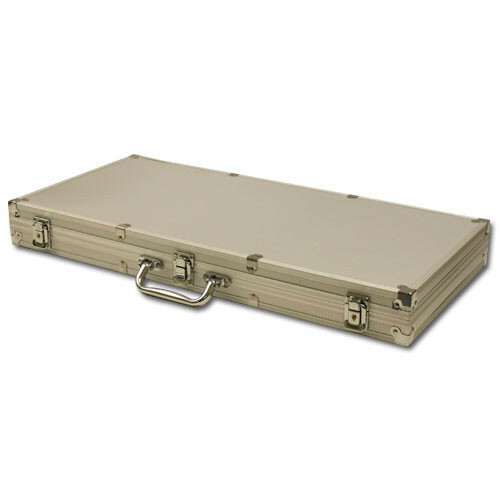 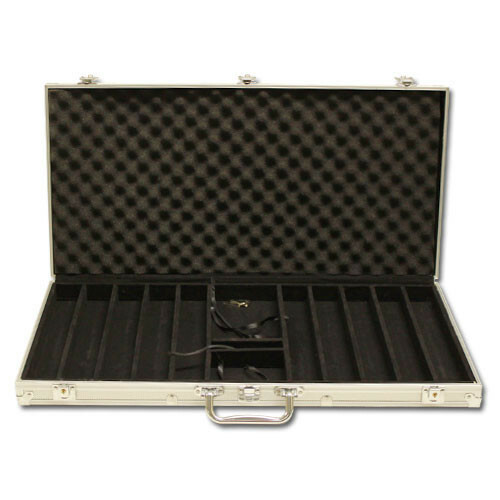 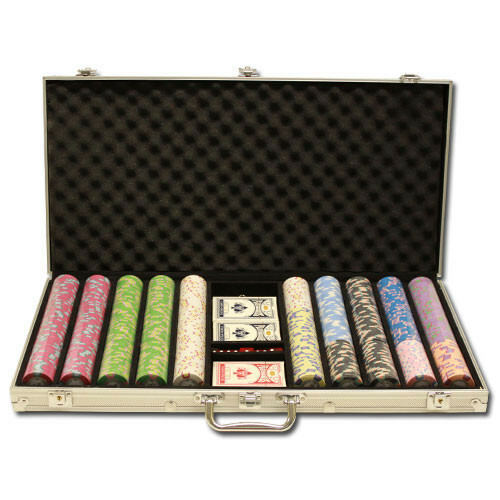 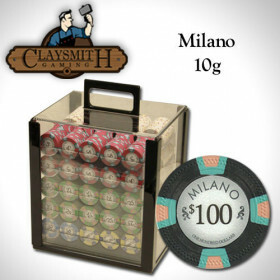 You get 750 Milano 10 gram poker chips in an aluminum storage case, plus, we'll even throw in 3 decks of playing cards, 5 dice and a free dealer button to get you going. 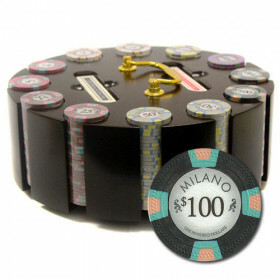 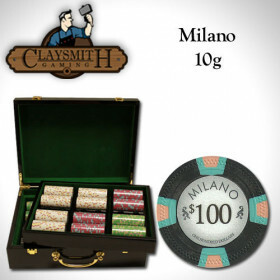 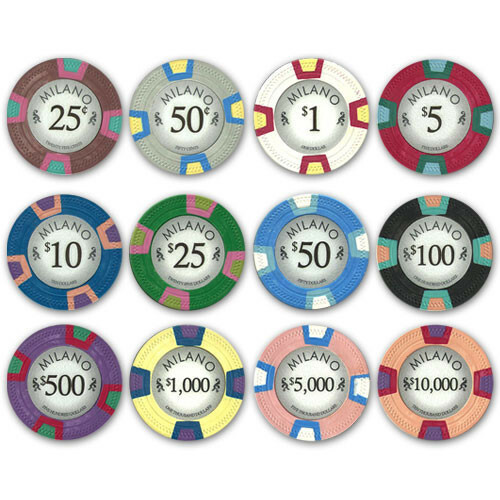 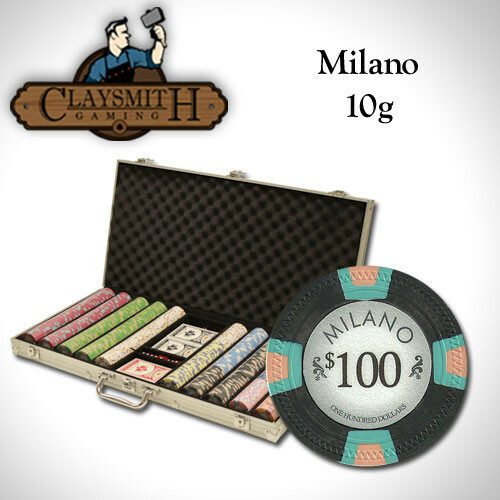 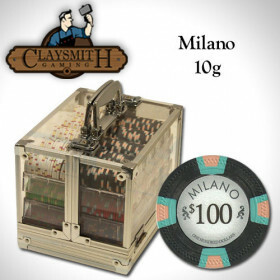 750 Claysmith Milano clay composite poker chips. 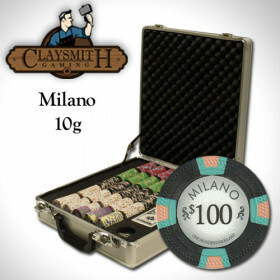 Plus, you get 3 decks of cards, 5 dice and a free dealer button!